An ophthalmologist is a physician who specializes in the medical and surgical care of the eyes and vision. Also known as eye doctors, ophthalmologists are the only practitioners trained to provide comprehensive diagnosis and treatment of eye disorders. They can perform eye exams, dispense medications, prescribe corrective lenses (eyeglasses or contacts), and perform eye surgery. Ophthalmologists in the United States are required to complete four years of college, four years of medical school, and four to five years of additional specialized training. Ophthalmologists should not be confused with optometrists (who treat certain eye disorders but do not perform surgery) or opticians (who design, fit, and dispense corrective lenses). Ophthalmology is the specialty concerned with the medical and surgical care of the eye, eye orbit (socket), optic tract (the visual nerve network), and visual cortex (the part of the brain that process nerve impulses from the eyes). Ophthalmologists treat a variety of eye disorders from common vision deficiencies to conditions that can lead to partial or complete blindness. Ophthalmologists will often work with other specialists in cases where vision loss is secondary to another medical condition, such as diabetes or HIV. An ophthalmologist typically works in an office outfitted with equipment for eye exams. More complex imaging or exploratory tests may be conducted in a hospital or medical facility. Athough some eye surgeries can be performed in the doctor's office, others may require an operating room in a hospital. An eye examination can be performed by an ophthalmologist, optometrist, or orthoptist (an allied medical technician trained in the diagnosis and management of eye movement disorders). There is an almost encyclopedic range of drugs (including eye drops, injections, and oral medications) used in ophthalmology. Some are over-the-counter remedies and supplements used to treat dry eye or prevent progressive disorders like macular degeneration. Others require a prescription and/or administration by a medical professional. These include expensive antivascular endothelial growth factor (anti-VEGF) drugs used to treat macular degeneration and certain types of eye cancer. In addition to medications, an ophthalmologist can prescribe corrective lenses, including bifocal, multifocal, and progressive eyeglasses and contacts. An ophthalmologist is a medical doctor (MD) or an osteopathic doctor (DO) who specializes in eye and vision care. To enter medical school, you must first get a bachelor's degree, complete the prerequisite premedicine studies (including advanced math, science, and biology), and take the Medical Competency Aptitude Test (MCAT). Medical school involves two years of classroom studies and two years of clinical rotations in different medical facilities. Upon graduation, you would need to obtain a medical license in the state in which you intend to practice. This usually involves passing the United States Medical Licensing Examination (USMLE) if you are an MD or the Comprehensive Osteopathic Medicine Licensing Examination (COMLEX) if you are a DO. Some states also require you to pass a state exam. After getting your license, you would need to complete a one-year internship focused on direct patient care. This would be followed by a one-year residency program in general surgery and a three-year residency in ophthalmology. Upon completion of the residency, you can obtain board certification by passing a written and oral exam administered by the American Board of Ophthalmology (ABO). The certification is valid for 10 years during which time you must take regular continuing medical education (CME) courses to be eligible for recertification. Some ophthalmologists will embark on additional one- to two-year fellowships to specialize in a specific field of practice. A pediatric fellowship, for example, involves an additional year of training, while a corneal fellowship will usually require two. Seeing an ophthalmologist can be stressful for people who find eye procedures uncomfortable or unnerving. To allay your nerves, it often helps to know what to expect if referred for treatment. Your first visit to the ophthalmologist would involve a comprehensive evaluation that will take around one and a half hours to complete. 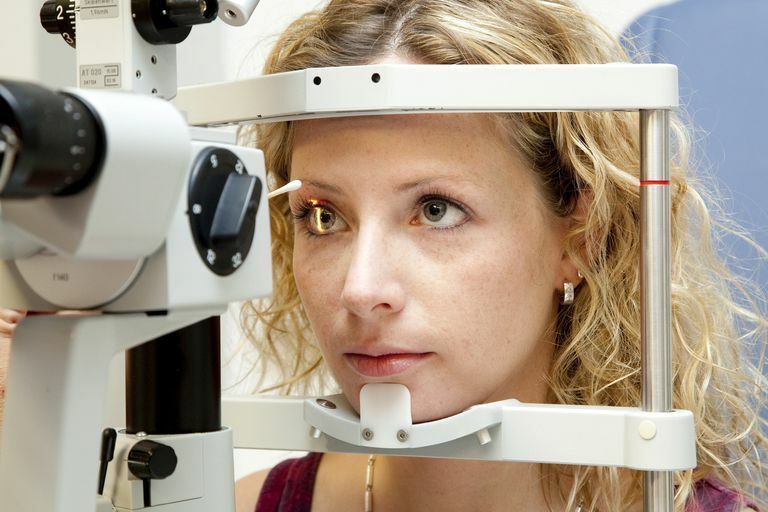 It may take longer if you need specialized testing or have a complex eye condition. Be sure to bring your ID, insurance card, and a list of any medications you are taking. If you have had previous eye surgeries, bring along any medical records you have or ask the treating doctor to forward them electronically in advance of your appointment. Can you go over the eye exam and tell me what the tests mean? What is the cause of my vision loss? Is my condition stable, or can I lose more sight? Are there symptoms should I watch out for? What treatments are available, and what do they involve? What are the risk and possible side effects? Are there alternative treashouldI shoiuld consider? What might happen if I decide not to be treated? Always be sure to check whether the recommended procedures are covered, at least in part, by your health insurance. This includes checking whether the labs and medical facilities are in-network providers. If not, ask your doctor or insurance company for a list of in-network providers if affordability is a concern. You can check their credentials by using the ABO physician verification webpage. There are qualities and characteristics every ophthalmologist needs to be successful. They include exceptional manual skills, excellent hand-eye coordination, and the ability to communicate effectively and empathetically to ease the anxiety of patients. The training can be especially taxing for young ophthalmologists given the stress of dealing with vision loss and the minutiae of detail involved in the work. According to a 2018 survey conducted by the University of Washington, no less than 63.3 percent of residents experienced burnout during the course of their training. Like other physicians, ophthalmologists can operate their own practice or join a group practice with physician partners. They can also work as an employee of a hospital, in an outpatient clinic, or in an academic or research setting (typically requiring a PhD degree). According to the annual Medscape Ophthalmologist Compensation Report, ophthalmologists in the United States earned an average of $357,000 in 2018. Feng, S.; Taravati, P.; Ding, L. et al. Burnout in Ophthalmology Residency: A National Survey. J Acad Ophthalmol. 2018; 10(01): e98-e107. DOI: 10.1055/s-0038-1666850. Grubbs, J.; Arbor, A.; and Mian, S. Advising Students Interested in Ophthalmology: A Summary of the Evidence. Ophthalmology. 2016 July;123(7):1406-10. DOI: 10.1016/j.ophtha.2016.04.016. Thulasi, P. and Djalilian, A. Update in Current Diagnostics and Therapeutics of Dry Eye Disease. Ophthalmology. 2017 Nov;124(Suppl 11): S27-S33. DOI: 10.1016/j.ophtha.2017.07.022. Is a Hospitalist a Doctor? What Does It Take to Become a Nephrologist?